Speaker for Women – Speaker for Women’s Networks – Gender Diversity Events – Inclusive Leadership – Inclusive Teams – Engaging Men. Designed to work for your audience. Inspiring. Thought-provoking. Practical Insights. Lively Discussion. Interaction. Women Leadership Programmes – Inclusive Leadership Training – Gender Inclusive Teams – Motivational Training – Returning to Work – Maternity Workshops – Navigating Career and Family. Motivational. Inspiring. Thought-provoking. Builds Confidence. Builds Awareness. 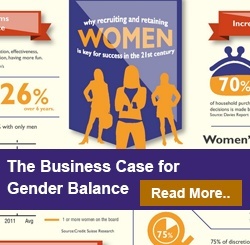 Mindset and Culture Change for Gender Diversity and Inclusion – Consultancy on Attainment and Retention of Women – Impact of Gender Difference at Work – Development of Business Case for Gender Diversity – Research Support. 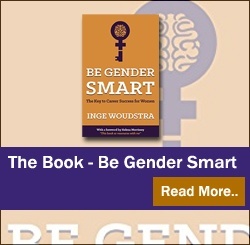 Inge gave a great presentation based on her refreshing and innovative approach "Being Gender Smart". Inge is a very enthousiastic speaker and challenged our conventional ways of thinking. Inge succeeded to engage the participants and her workshop transformed our anniversary event into a very inspirational session. Inge ran a one-day Gender Smart workshop for us which was very successful. […] As a result of the day, our team felt energised with new techniques on subjects such as giving feedback and running good meetings. Not only are we now in a better position to make the best of all our people, but we have also learned valuable improvements to the way we work together irrespective of whether the team consists of men or women. Inge is very approachable and responsive to work with and tailors what she provides to what is requested. Her area of expertise could not be more relevant for anyone needing to focus on better gender balance. Inge has great style in chairing conference discussion panels, she is direct and seeks the truth in an uncompromising but compassionate way, essential in today's fast changing world where only the truth will do! Inge put in considerable effort to the event and delivered a thoroughly professional, thought provocative and stimulating session. The workshop was repeated twice during the afternoon and both slots overran due to numerous questions and interesting debate generated by the participants. 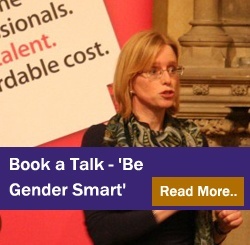 I would thoroughly recommend Inge as a speaker or facilitator at any workshop related to gender and diversity. Excellent session. A great mix of stories, facts and discussion. You have given me a new way of talking about difference. I’m so glad to have been here.